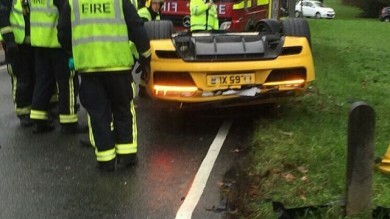 Who needs brakes when you can have more fun going flat out? All the time! 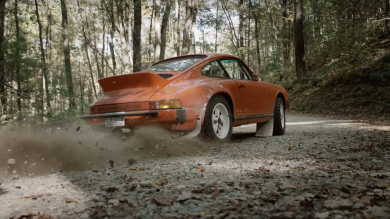 Make no mistake, rallying requires a lot of skill, but we think it takes a little more than that to keep your right foot planted on the floor. The red flash you can see darting past in this video is a Polski-Fiat 126p piloted by arguably one of the most daring rally drivers of today – Piotr Filapek. 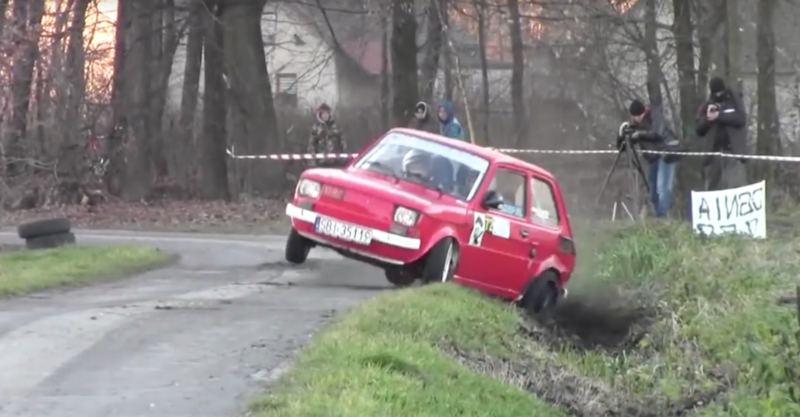 This is a video compilation of the little Fiat competing in local rallies in Poland, and whatever the top speed of this two-cylinder, rear-engine, rear-wheel-drive pocket monster is, we’re certain Filapek has pushed it far beyond its limit. One thing’s for sure: this guy has got some balls. Or he’s completely off his rocker. This little bundle of power refuses to crash. Or slow down for that matter.